Uh-oh. Scrap those Christmas vacation plans. 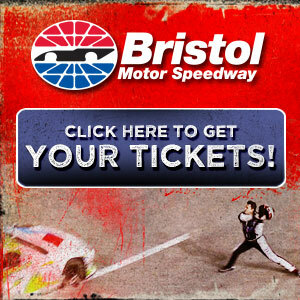 December may be jammed with a lot of extra 2013 testing for NASCAR crews. ...because drivers and crews say that NASCAR's new 2013 Sprint Cup car program is falling further behind schedule -- with the sanctioning body still changing key rules for the new race car and with teams not expecting to get real sheet-metal bodies until mid-October. -- Talladega Wednesday October 3rd. -- Texas Tuesday and Wednesday October 9th and 10th, with Goodyear's full complement of engineers and tires on hand. -- Phoenix Wednesday and Thursday October 24th and 25th, again with the full Goodyear tire testing package. -- And Charlotte Tuesday and Wednesday November 6th and 7th, also with Goodyear's full armada. 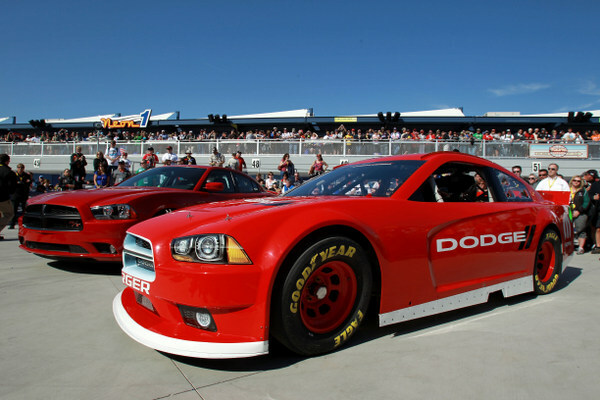 On top of that Cup teams will have two extra days of testing their current 2012s at newly repaved Kansas Speedway Wednesday and Thursday October 17th and 18th, just ahead of the October 21st Kansas 400. Remember this fall's championship chase is well underway, with 12 of the sport's top teams involved. And the Talladega test comes between the Dover and Talladega Cup races...the Texas test comes between the Talladega and Charlotte races...the Phoenix test comes between the Kansas and Martinsville races...and the Charlotte test comes between the Texas and Phoenix races. Any good truckers with CDLs should probably be applying for jobs with these race teams, as much hauling as they'll have to be doing. NASCAR still doesn't even have the 2013 rules package finalized. Crew chiefs concede they're tearing their hair out trying to keep up with the rules changes, which NASCAR has been faxing them the past few weeks. "We're struggling ourselves trying to figure out if we can get a car done in time for the Talladega test," Shane Wilson, Paul Menard's crew chief, says. "We just don't know if we can get one (2013 Daytona 500 model) done in time with real sheet-metal. And you don't need to go there with Fiberglas parts...because you're not going to get the full effects. "And it costs so much these days to go test. So you have to decide if it's worth it." The Texas test is seen as crucial, because that 1-1/2-mile track is a good template for other 1-1/2-miles like Las Vegas, 2013's first mid-sized track, March 10th, just a month ahead of the Texas 500. "It's going to be close," Wilson says, about getting cars built with real sheet-metal for that Texas test. "There might be some teams there (with real cars), but I think it will be hit-or-miss right up till the test, whether or not teams can get their cars done. "And they (NASCAR) are talking about some new rules...and if they're really wishy-washy on that, it makes it hard for a team to commit to go to that test, because you might not get anything out of it at all." However the rules changes coming may throw a big kink in that plan. -- NASCAR wants to cut 160 pounds off these cars for next season, which naturally alters the balance. -- NASCAR just came with yet another new rear-end 'skew' rule, which crews worry will force them to change a lot of major parts on the rear end of the chassis. Goodyear needs some good, solid tests here, especially with the increased speeds at these newly repaved tracks, like Kansas, Michigan, Pocono. 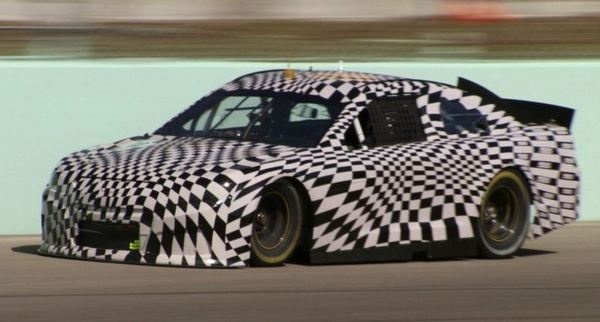 However there is no new 2013 sheet-metal yet, and one top driver points to the Talladega test in particular as probably little more than "a dog-and-pony show," more for PR than anything else. The key debut for the 2013s of course is at Daytona in the season's leadoff Daytona 500. While all these 2013 tests may well be open to any teams that want to show up, it looks like only five, six or seven drivers will be at the Talladega test, and it's quite unclear if there will be any more at the other October tests. At least one driver for each of the top teams is expected to be at Talladega; however without a 20-car draft at that huge track, it's not clear how accurate the results might be. 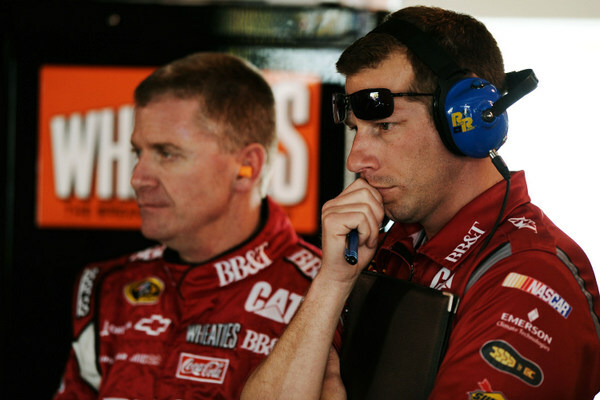 Drew Blickensderfer, Jeff Burton's crew chief, says he feels the Richard Childress Chevy operation is further along in developing the 2013s than anyone else, but he concedes he and his crew are a bit worried about the time frame of the fall tests. To begin with, the 12 teams in the chase are naturally pretty much the top teams in the sport, and at the moment they're all focusing on trying to win this championship. How much time, if any, that they'll be able or willing to set aside to fiddle with these 2013s is unclear. On top of that, given the rules changes still coming from Daytona, crews are wondering what significant change might be next. That uncertainty is a clear worry among teams. "I don't think we'll have sheet-metal on our 2013 car for the Talladega test...because that car is already built (with molded Fiberglas body)," Blickensderfer says. "So we'll test the car and then bring it back and put new (sheet-metal) sides on it." With the 2013 cars thus wearing only 'plastic' bodies, the center of gravity will be off, leaving the technical value of the tests in some jeopardy it would appear. "The center of gravity will be off," Blickensderfer concedes. "The other thing here is the center of gravity for all these cars will be off (too) because they (NASCAR) are taking weight out of the cars: 100 pounds off the right-sides, 60 more pounds off the left-sides." And NASCAR plans to change, again, the 'skew' of the rear-ends of these cars for 2013. And it would like for teams to have some cars incorporating those new rear-end rules for the upcoming 2013 tests. How many teams, if any, will have time to redo the rear-ends to meet those new rules in time for the October tests is quite uncertain. "What NASCAR wants for 2013 is basically a 'straight-up' rear-end housing," Blickensderfer says. "Most rear-ends here (for Sunday's 300) have a half-inch of toe-in on the left and a half-inch of toe-out on the right. "In 2013 it will be 'zero toe.' That means the 'crabbing' around the race track will go away." 'Crabbing' is the long-familiar chassis trick in which cars appear rather sideways down the straights, in order to have better cornering. That's part of the trick that Rick Hendrick's teams, particularly the Jimmie Johnson-Chad Knaus team, have used so successfully this season. In addition, NASCAR will be allowing teams more 'camber' in the rear-end, four degrees instead of just two degrees. "Hopefully to get grip back in the car," Blickensderfer says. "Take aero-grip away from the car and put mechanical-grip back in the car. The rear of your car will be more 'stuck' with four degrees." That's good, though Goodyear may have to make some tweaks. And Blickensderfer worries the new rules package may force teams to design new drive-plates and rear axles. "Because when you start 'bending' rear tires further, things that want to run straight don't run very well." For the October 3rd Talladega test, Blickensderfer says he has six or seven things he wants to test. "And I think the rest of the day NASCAR will be playing with gears and restrictor plates, to try to tune the cars for the speed they want to see." However without a big pack, of maybe 20 cars, how accurate will that testing really be? But Blickensderfer says he's confident NASCAR will be able "to get a good idea of what restrictor plate they need to come with, and aero stuff. "And then when we all go to Daytona in January (for more 500 testing) we'll have 15 to 17 cars out there in a pack, that can really fine-tune how fast they're going." The upshot of all this is that Cup teams now anticipate being much busier than expected over the winter, with more testing that even what has been planned. "Very busy," Blickensderfer says. "With getting sheet-metal later and later and later, and having to turn all these cars over...and then taking them to Nashville to test and to these other tests...it's going to be tough." Throw in some rollbar safety changes for 2013 just announced too, and with each team carrying about 18 or more race-ready stockers, well, maybe certified welders can find some full-time work in Cup garages over the winter. "Yes, I think there will have to be some more testing this winter, when everyone is more prepared," Wilson says. "Sometimes we can make stuff happen pretty quickly....but it's a lot of work. "And the bigger teams are all in the chase, and wanting to focus all their time on that."